Prim Resorts is India’s first ‘Collection of Boutique Resorts’. 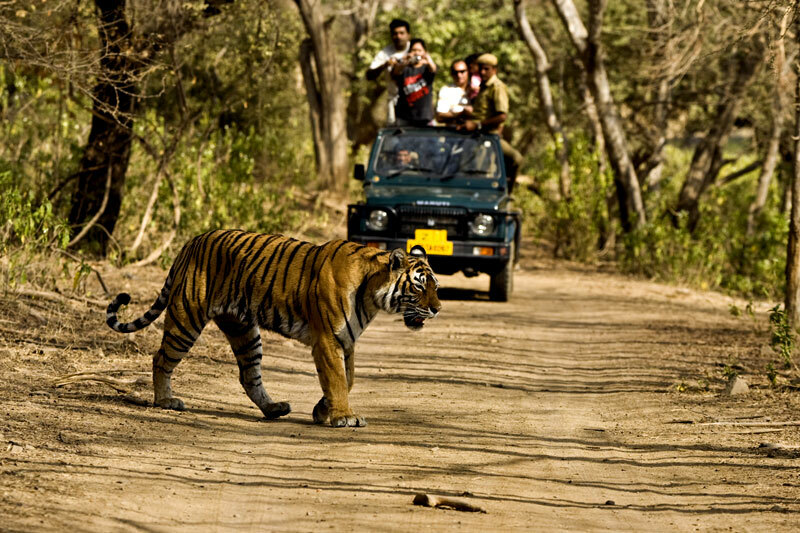 Jeep safari is the most popular way to explore the mysteries of forest life of Corbett national park. All the four zones of Corbett-Dikhala, Jhirna, Bijrani and Sitabani provide safari facilities. It is done either in morning from 6 AM to 10 AM or in evening from 2 PM to 6 PM as these times are the best to locate animals. You should do the bookings of jeep safari in advance as the safari for core areas gets booked well in advance. Elephant Safari is best for you if you want to explore the wildlife in a different way. In this safari, four people get to sit on the back of elephant. It is a very unique experience as you get good views from height and also get to explore different routes in the forest as the elephant doesn’t follow a specific route. Canter Safari is only conducted in Dhikala Zone (From 15 Nov. to 15 June). It is an open canter in which group of people can go all together for exploring the jungle. It follows a specific route; you can locate wild animals on the way. Canter safari tickets are cheaper than jeep safari as it takes a group all together. Girjiya temple is located on the way to Ranikhet, 14 kms from Ramnagar. It is located in the midst of river Kosi. You can visit the temple for religious values and also to admire the natural surroundings nearby. Corbett waterfall is located 3 kms from Kaladhungi, the beauty of this waterfall is admirable. The path to reach the falls is also captivating; on the way you can locate different varieties of birds chirping. The crystal clear water falling from a height looks beautiful and wins in fascinating every tourist. Corbett Museum is located at Dhangarhi, here you can locate the belongings of Mr. Jim Corbett. The museum has well-kept the things to keep the history alive. It is a place where you can go and know about the history of the place and also about the achievements of Mr. Jim Corbett. For enjoying the activities to the fullest, it is important to do the bookings in advance as being the popular tourist destination, the place is mostly booked. You can select any one of the Jim Corbett Resorts, like PRIM Resorts. It is located in the lap of nature while offering best of services, amenities and activities. The travel desk of PRIM Resorts Corbett also arranges the safari for you so that you can have a memorable wildlife holiday.